Just as nutrition and cardio exercise are important factors in losing fat, so is weight or resistance training. Its positive health benefits have made personal training a mainstream profession whose clientele is no longer just for the rich. 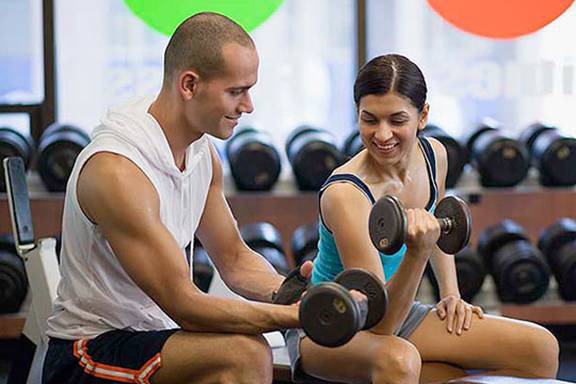 Personal trainers can help anyone interested in learning the proper techniques for lifting weights and provide guidance on good nutrition, including supplementation, to support your training efforts. Moreover, Personal Trainers also help motivate and push you to work harder to reach your personal fitness goals whether that is to compete in a contest or just to loose weight and feel better about yourself. Even though I’m very knowledgeable and well educated on fitness and nutrition, when I’m training for a bodybuilding contest, I hire a trainer for these very reasons. With my background in Physical Education and Sports Nutrition I have seen many individuals make their way into various disciplines that Physical Education/Kinesiology prepares them for. One such area is Personal Training. I have met some great personal trainers and others that should have chosen another line of work. Moreover, I see some individuals who have competed in a couple of contests bringing home a shiny trophy who then self appoint themselves as “successful” personal trainers. In order to meet and exceed your personal fitness goals it is wise to seek out a personal trainer that will support and guide you in many areas of your fitness journey. A quality Trainer should perform a thorough and complete assessment with you at your first meeting. Which should consist of baseline measurements such as weight, body fat percentage, etc. They should also cover a nutritional review of your current caloric intake and supplement support. Moreover, they should discuss with you a host of lifestyle variables, including your personal schedule, personal goals and your social & family support to embark on your fitness journey. They should demonstrate previous successes with past clients and personal successes showing that they practice what they preach. They should keep detailed statistics of their clients, track their client’s adherence and log how their clients’ bodies are changing and over what time period. They should be able to show you before and after photos of their clients and reveal compelling testimonials of how they have impacted their lives in a positive and meaningful way (clients attained their fitness goals). They should have multiple certifications that are industry related including a relevant degree if possible. One thing that is quite important to me is education, certification and commitment to life-long learning. This demonstrates that the individual has supported their profession and skill through knowledge that is professionally validated in the industry in which they work. They should be knowledgeable on more than just one aspect of the industry. They should bring to bear knowledge and skill on training methodologies, body composition, nutrition, supplementation, and more. Another important aspect is seeing a personal training keeping themselves in good physical condition. It demonstrates that they incorporate their own fitness prescriptions into their lives. In essence they should practice what they preach. 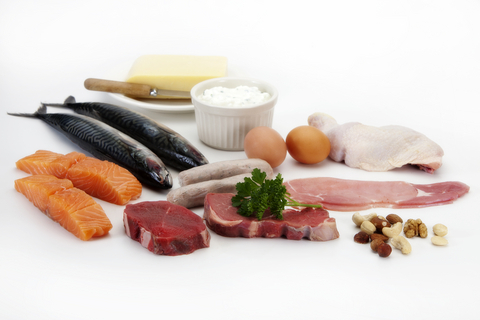 A good trainer should thoroughly integrate training and nutrition. Many individuals, including myself believed that having a carefully constructed exercise plan with strict adherence would produce significant results in regards to body composition. What was missing was dietary intervention. On a consistent basis they should assesses your nutritional intake and integrate a nutritional solution as part of the fitness programming. Without a carefully prescribed nutrition and supplement plan you are missing a very large part of the equation. They need to care. Just a couple of other elements to make mention is the fact that Personal Trainers should really know how to help a variety of clients based on their personal fitness goals – not just bodybuilders such as myself. Finally, they need to show that they sincerely care about their clients and celebrate their successes with them regardless if they are big or small.